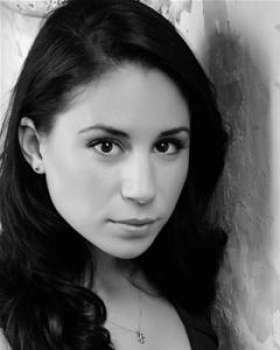 Emily is a choreographer and movement director, having trained in both acting and dance at LAMDA and London Studio Centre. Emily provided movement direction for Nicholas Holt & Lily Collins on upcoming 2019 feature film Tolkien (Fox Searchlight Pictures). She next works on two Ian Hislop & Nick Newman plays, The Wipers Times (UK Tour & Arts Theatre), and Trial By Laughter (Watermill). Further credits include: Mr Swallow & the Vanishing Elephant (Pleasance, Edinburgh); The Little Beasts (The Other Palace); House And Garden (Watermill); Mr Swallow - Houdini (Soho Theatre & Pleasance, Edinburgh); Spring Awakening & Fiddler On The Roof (LAMDA); The Wipers Times (Watermill); A Midsummer Night’s Dream (Pleasance, London); The Liberation Of Collette Simple (Jacksons Lane Theatre & Provincialtown Festival, US); Mr Swallow – Dracula! (Pleasance/ Soho Theatre); Cabaret (Wilton’s Music Hall) and Ruthless (Karamel Club).